The University of Sarajevo hosts the 2nd International Workshop on Law and Ideology, Memories of Struggles, Struggles of Memories, May 28-29, 2015. 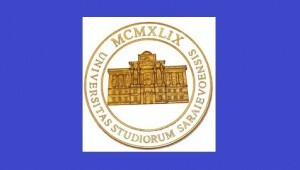 The conference is jointly co-organised by the Faculty of Political Sciences of the University of Sarajevo (Bosnia and Herzegovina) and the Centre for Legal Education and Social Theory of the Faculty of Law, Administration and Economics of the University of Wrocław (Poland) with the generous support of the Embassy of the Republic of Poland in Sarajevo. Abstracts are due by Feb. 15, 2015. The call for papers is on the Law and Ideology Blog and here: SARAJEVO-2015-Call-for-Papers.